When Natalie wanted to try on her new bike helmet yesterday, I obliged. The day before, she told me she hated it because it was pink and purple, and not all pink. So much drama from a 4 year old. In an effort to manipulate encourage her to want to wear the helmet, I told her she looked like an expert bike rider. "Do you know what an expert is?" I asked. When Natalie shook her head, I told her that an expert is someone who is very good at something and knows a lot about it. "Mimi is an expert teacher, " I said, "because she has been teaching boys and girls for a long time." "Daddy is an expert leader because he tells the guys in his office what to do." I added. On a whim, I questioned her. "What is Mommy an expert at?" She thought for a split second before her face lit up. "Washing the dishes!" she exclaimed. Will you all make sure my tombstone reads as follows? Let all the lands know of my great skills with a dishwand and a sippy cup. That is a riot! I have a three year old boy and he's starting to say the funniest things. You gotta love kids. I am still laughing out loud while I type this! What a funny girl! It's nice to know you have some marketable skills! Thank you for making me laugh through my sleep-deprived stupor this morning! You are an expert comedienne! Out of the mouth of babes! They really have no filter, do they? Well, I am an expert TV watcher, if I do say so myself. I also pride myself on being an excellent procrastinaotr. It's part of my charm. I'll have to ask my kids what they think I do well. Mine will probably involve laundry, just because I'm always doing it. LOL! Thanks for sharing this story! In about 8-10 years you can pass down the dishwand of power to your loyal subjects and have them take over the role of expert dishwasher. It will be a glorious day! That's too cute! You're more than welcome to come wash my dishes anytime! LOL :). Out of the mouths of babes! Well, you may be a dishwasher but your are the most creative and talented dishwasher I know! lol, kids say the funniest stuff! Yes, I loved those bird prints from Walmart too! And just $22 bucks...ya can't beat that! That is too darn funny! Sounds like my friend's 5 yr old. The stuff she says sometimes it beyond hilarious. My husband wishes I was an expert at that! That is too funny!! 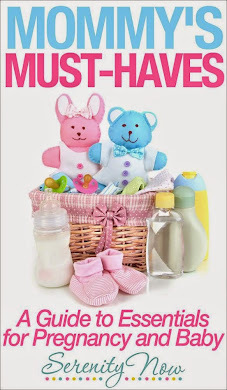 It's great that you have a record of all of this cute stuff to share with the girls later on when they can laugh about it, too. hey, at least she thought of something! That's cute! That's hilarious. Makes me wonder what my kids would say I'm an expert at? I'm almost afraid to know. Ha. Funny, at least she appreciates you. This would be so very funny. . . if it weren't true. Luckily, it's only part of the truth. That ain't the only thing mommy's an expert at, little girlfriend! I've been so disorganized the past couple of days that I almost missed this post. That settles it. 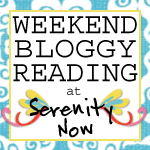 I'm putting a "Serenity Now" link in my blogroll. That way if I'm at my blog, fretting, I can click on yours and be sure I keep up with everything! So so funny! Honestly, I can think of much worse things for your gravestone. Expert dishwasher is juuuuust fine.